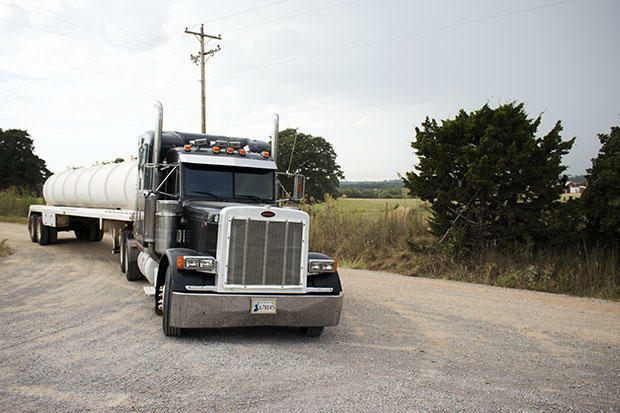 Driving an oilfield truck in Oklahoma can be deadly, reports member station KGOU. In the past eight years, 36 people in the state have died in crashes involving trucks hauling oilfield wastewater and equipment. According to recent data, seven percent of all truck companies licensed for oil-field work in Oklahoma have been involved in fatal accidents. Reasons for the crashes include bad brakes, trucks thousands of pounds overweight, and failure to test drivers for drugs. The crashes and deaths have happened all across Oklahoma. Most of them occurred on rural state and county roads. Seven of the 24 Oklahoma companies involved in those deadly crashes have received conditional ratings from the Federal Motor Carrier Safety Administration. That’s the lowest rating a company can have and still be in operation. Oklahoma is ranked second in fatal oil and gas industry injuries. Consumers are expected to have a great month at the pump, according to Colorado Public Radio. That’s because gas prices are expected to keep falling in January. A report released Wednesday showed a sharp increase in gasoline inventories. Early this year companies added another eleven million barrels of gasoline. That created the biggest surge in supply since 1993. Last Thursday marked a historic day for the Texas oil and gas industry, reports Bloomberg. The first U.S. shipment of crude oil to an overseas buyer departed Corpus Christi last week. despite a struggling oil sector, most Texas cities are still flying high according to The Wall Street Journal’s Real Time Economics blog. The High Plains and Southwest regions are no longer on top when it comes to the nation’s fastest-growing economies. According to The Wall Street Journal’s Real Time Economics blog, the downturn in the oil industry has pushed economic momentum toward the coasts. Texas is bracing for another oil bust, reports CNBC. The continued global oil-supply glut will likely weigh on Texas and the rest of the U.S. next year. But the latest crude-oil crash may not inflict as much damage as past downturns. Many parts of the state have now diversified away from crude-based economies.